Congratulations, you are the proud owner of a beautiful abode in Bordeaux….I actually thought David had another family, but instead he was concealing a vintage hideaway in Blaye, France. Back story…We had planned a romantic sojourn to Paris. In a past life, I had spent extensive time staying in Paris and writing freelance travel articles for the NY Times. My parents were ecstatic that I was using my journalism degree from Newhouse School of Journalism at Syracuse University immediately after college. My father was the consummate businessman…always looking for a return on his money. I think about his big push to have me go to UCONN, a state university, rather than an Ivy or Newhouse. Back to the meat of the story…Since I am the Lubov/Catzel in-house travel agent, David was insistent regarding the numbers of days we stayed in the city of lights. He then had his reveal and I was informed about our new loft in Blaye, which is situated on the right bank of the Gironde estuary (estuary is a combination of fresh and salt water) in Aquitaine in southwestern France and a 45 minute drive north of the city of Bordeaux. History and geography lesson…The charming town, which has a citadel within the walled in fortress, was listed in 2008 as a UNESCO World Heritage site. In the 17th century, Louis XIV ordered Vauban to strengthen the Citadel to protect Bordeaux, which is located upstream. A 12th century castle and 15th century tower still stand inside the fortified walls. The citadel now houses craftsmen and artisan shops and a smattering of restaurants. 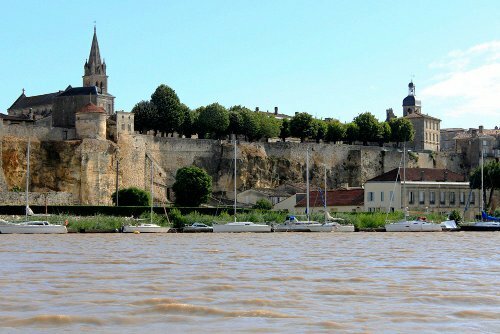 Blaye has a population of approximately 5,000 and is known for the Cotes de Blaye wines produced in the area. 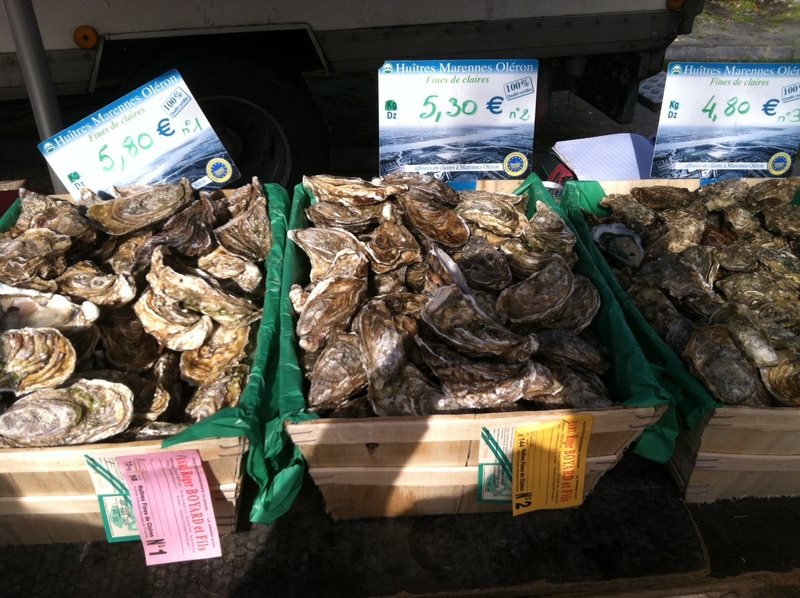 The village of Blaye has an unbelievable farmer’s markets every Wednesday and Saturday offering luscious seafood, fish from the Gironde, fruits, baked goods ( the French bread you want to inhale the minute you buy it or just stick in your French straw shoulder bag and parade around town all day to prove you belong!! 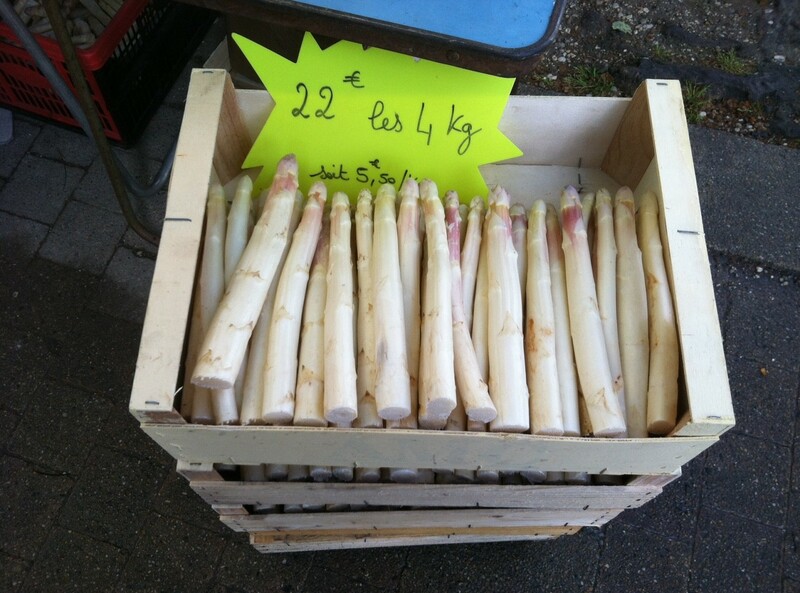 ), fresh vegetables, highlighted by the asparagus of Blayais. The soil in the Blaye region is especially good for growing asparagus and is best from March to May. 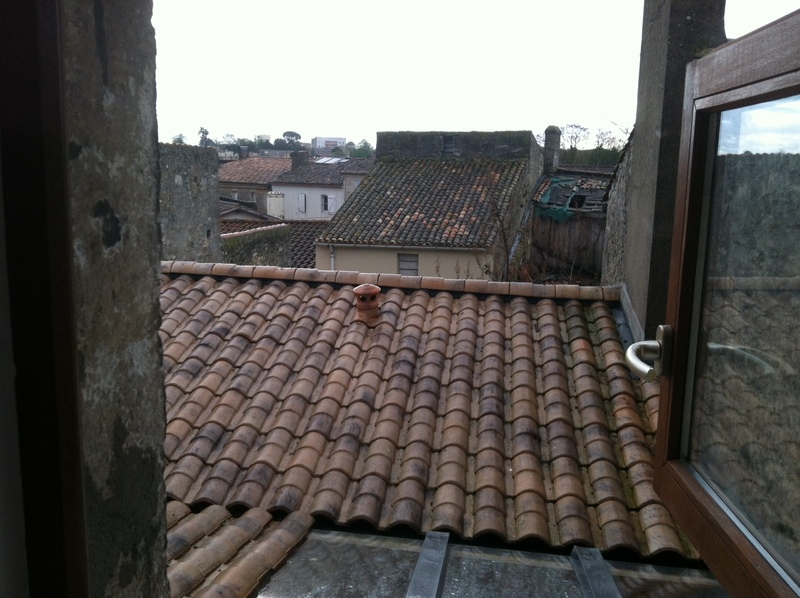 We made the journey to Blaye from Paris by car…you can take a train from Paris to Bordeaux and arrive in 31/2 hours. We drove and the trip took under 5 hours with stops. 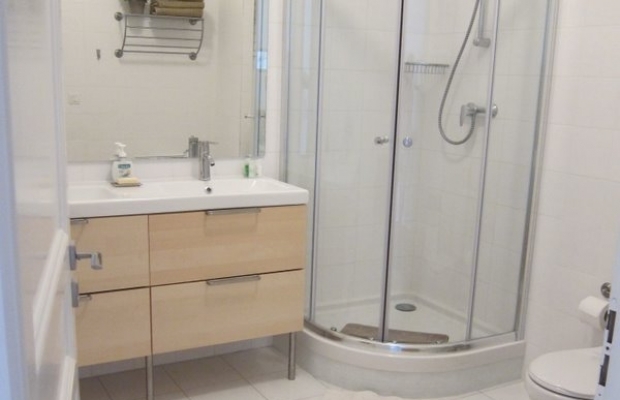 I was a bit nervous and to my great delight the apartment is fabulous! 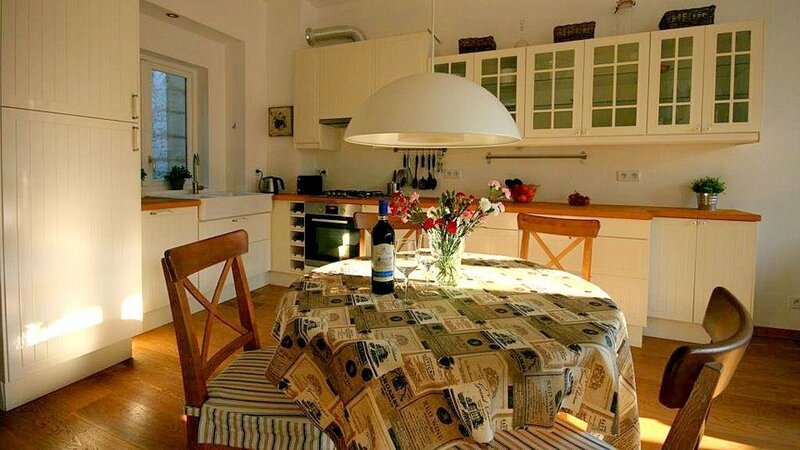 Chez Simone is a fully restored 18th century building that comprises 5 apartments and has a beautiful walled in courtyard where you can relax or barbeque. David and a friend who owns the charming Villa St. Simone //www.bordeauxwinevilla.com/, a B&B across the cobblestone alley, decorated to perfection, with a French accent décor and a totally modern bathroom and kitchen. You have no hesitation to plop down on the toilet seat. Biking the region is easy and fun as the area is relatively flat. The only issue being if you tour local wineries, you may not be able to stay balanced on the bike seat on the ride home. We toured local wineries and took our car on the ferry across the Gironde to Medoc, on the left bank. How can a 45 minute boat ride bring such changes? The minute you dock you are transported into a different world. 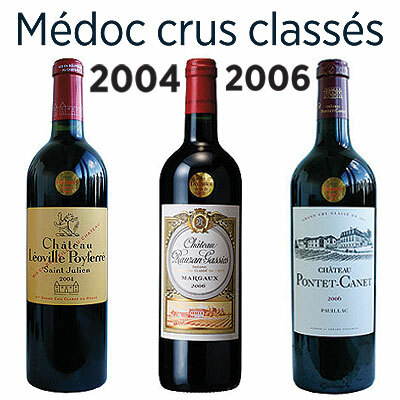 Oenophiles become giddy when they recognize the great domains of the Medoc…Margaux, Pauillac, Beychevelle, St. Estephe, Pichon-Longueville, Lynch-Bages, all situated in gorgeous chateaux. We visited the Rothschild vineyard on my birthday and it was beyond tres bien…I enjoy this type of sample sale because everything fits and is delicious. Just cruising along the coastal route, past all the enchanting French cottages, is a wonderful way to while away an afternoon. 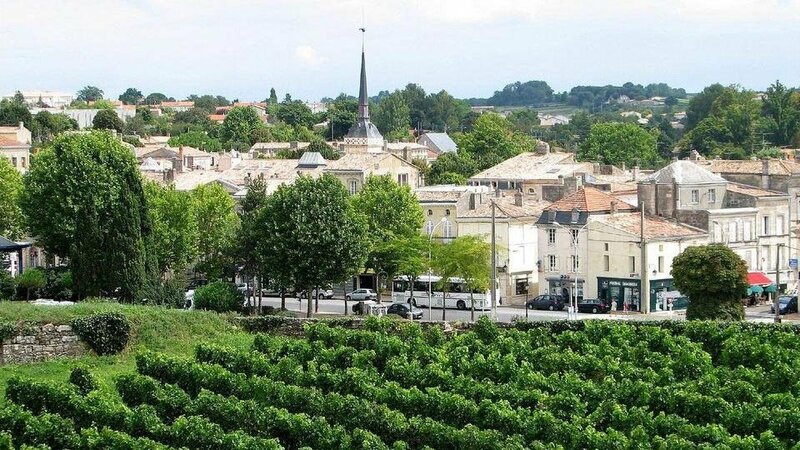 Take the back roads to St. Emilion which is a picturesque medieval French village, perched high on a limestone rock in the shape of an amphitheater. The homes and shops are wedged tightly together, separated here and there by small steep and winding streets. The town is structured from the top down. 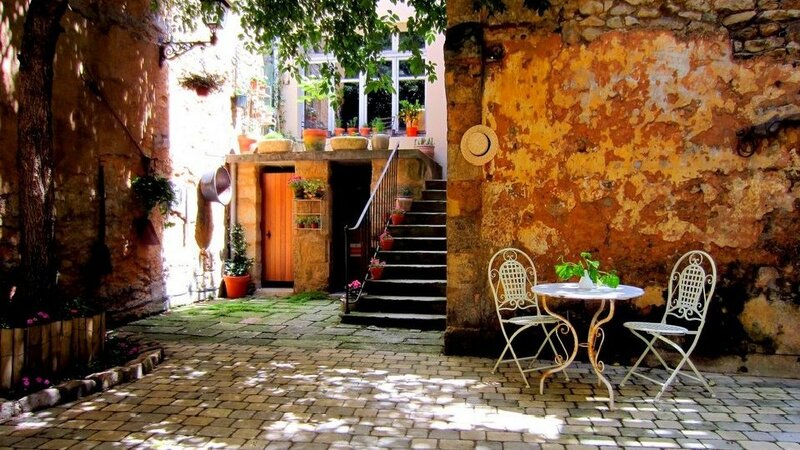 There is a Relais Chateaux hotel (Hostellerie de Plaisance) and you wind your way from street level down to the bottom of the town which is filled to the brim with charming shops and restaurants. Les, wine connoisseur and owner of Villa St. Simone B&B, set us up with a tour of a private home and winery. He conducts private wine tours, tastings and classes, as well…(just checkout the bordeauxwinevilla.com website.) People lived in the 173 acres of underground galleries and the limestone caves have always been perfect for wine storage. 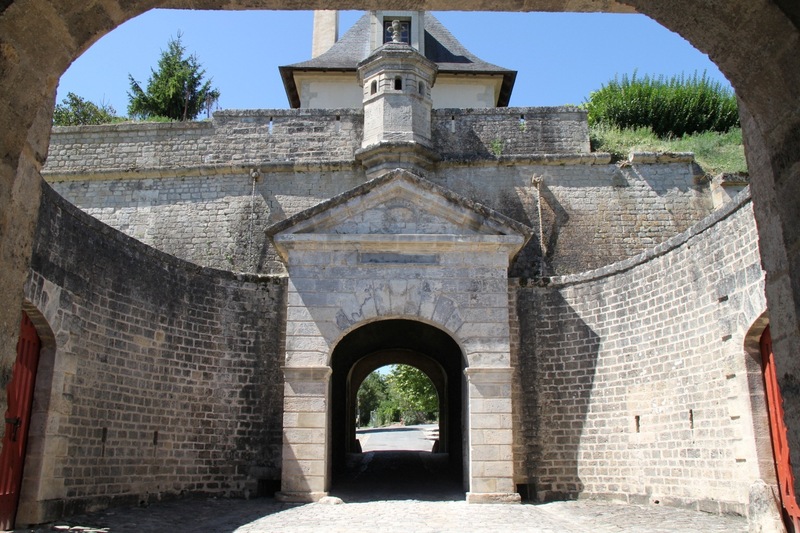 The proprietor told us that as a child they would ride their bikes from chateau to chateau through the connected underground galleries. Unfortunately, the owners were forced to erect iron gates as there was thievery and the wines were too precious to tolerate the pilfering. I shall, herewith, proclaim that we do rent our loft and if you are reading my blog and have the urge to visit a provocative part of the world, I am sure we can play, “Let’s Make A Deal!” The trip is worth it to just relax and drink amazing wine and gaze at the boats lazily drifting on the Gironde estuary. As with the wine, the ebb and flow of the estuary is intoxicating.